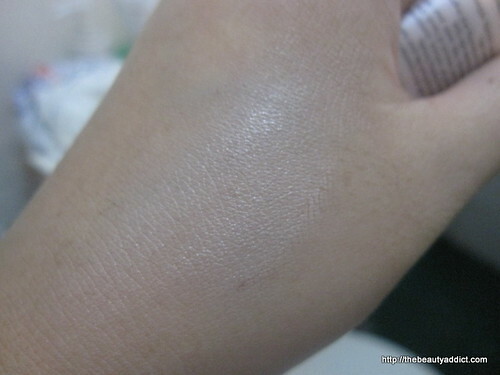 It's been a while since I've posted about BB cream. 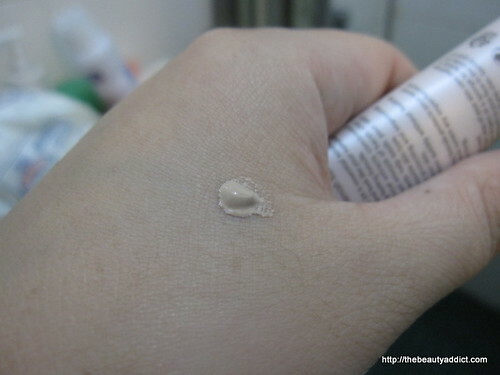 But since summer started, I found myself reaching for my Elisha Coy always Nuddy BB 24 that was given to me during my visit at Beauty and Butter nail art salon instead of my usual liquid or cream foundations for everyday. 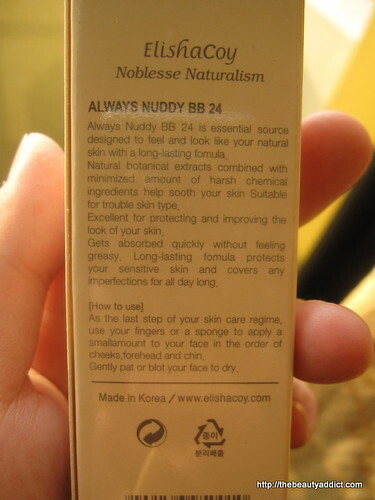 Product Description from BuyBBCream.com: ElishaCoy Always Nuddy BB 24 is essential source designed to feel and look like your natural skin with a long-lasting formula. Natural botanical extracts combined with minimized amount of harsh chemical ingredients help sooth your skin. Excellent for protecting and improving the look of your skin. Gets absorbed quickly without feeling greasy. Long-lasting formula protects your sensitive skin and covers any imperfections for all day long. 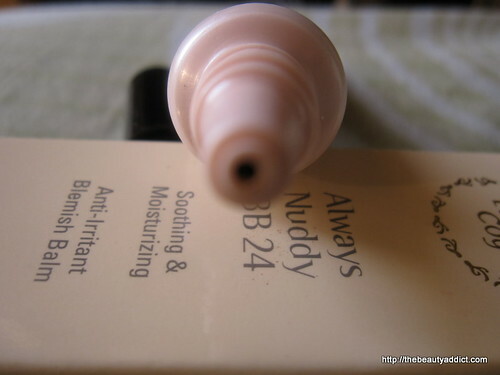 ElishaCoy Always Nuddy BB 24 creates a flawless no-makeup look while protecting sensitive skin. 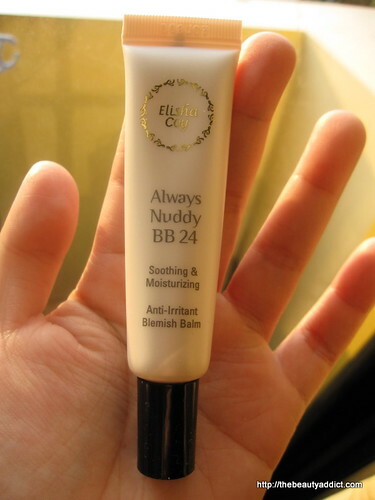 Developed with safe natural ingredients that won’t damage skin, ElishaCoy’s Always Nuddy BB 24 provides good coverage and moisture. Anti-irritant soothing care system of pure vegetable ingredients that make you feel comfortable on your skin! Natural herbal ingredients such as natural herb, phellinus linteus, angelica gigas and mulberry root-bark make your tired skin clear and resilient. 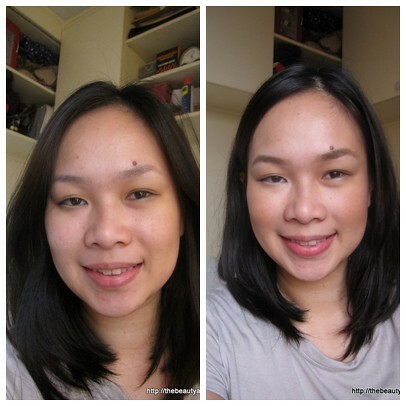 It improves your dark skin and completes your natural, bare, subdued, porcelain-like makeup. Baby soft skin for 24 hours without oily feeling! After applying basic skin care products, gently spread an appropriate amount on your forehead, nose, cheek, and chin, etc. After spreading it softly, lightly pat it to make it absorbed. 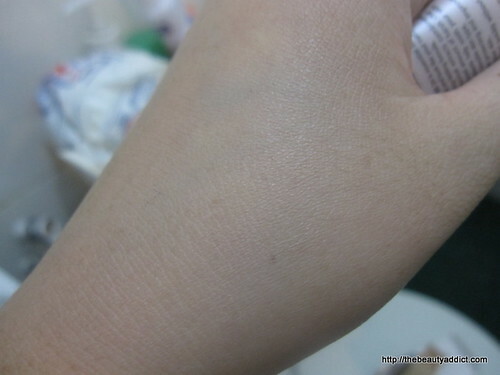 The cream covers blemishes naturally and evens skin tone. Need not use makeup base or foundation separately. 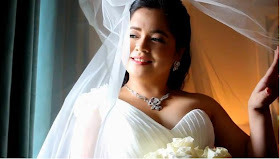 - Did not experience any irritation. - It's moisturizing but non-greasy. - It brightens up my face nicely. - I like the easy squeeze packaging. This is what I read in a magazine ad page while I'm having my nails done at Beauty and Butter: Elisha Coy BB Cream is popular in Japan. Said to be the secret for the Japanese women's porcelain skin. Its only con for me is it doesn't have SPF that's why I always make sure to use a sunblock before I put this on my face. I think it's also available only in one shade only but it blends very well on the skin so I think it'll be nice for women with medium to light skin tones. nice review! i am on a buying ban though, hihihi....i still have to finish my bb creams!